Affiliate marketing is an exciting strategy that can help you boost your online product sales, attract new visitors to your website as well as expand your brand reach and awareness. There are several ways merchants can get started with this performance based type of marketing and dozens of solutions out there, so getting started can get overwhelming and confusing for beginners. This is why we have decided to review in details all of the leading affiliate marketing platforms that are currently available on the internet and help you make an informed decision. How do I pick the right product? We have put together a list of both affiliate networks and affiliate software solutions available on the market (Affiliate Network vs. Software – Read more here). These are all popular, best selling products and we have gone through their features and other details to help you make a choice based on your business needs, budget and target audience. 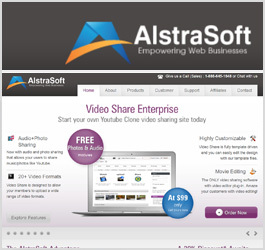 Read the reviews to learn more about each affiliate software and affiliate network. Each review contains information about the particular platform, its features and how those can help you with improving your business. What are the differences between affiliate network and affiliate software solutions? There are benefits and downsides associated with both of these solutions and choosing one over the other really depends on the budget as well as type of business you operate. We have written an article on this topic to make your decision easier – click here to read it. Usually, the main difference is in the price and the way the affiliate marketing is organized and billed. When using affiliate software, merchants usually handle payments on their own while when it comes to affiliate networks, all payments go through the network and might include additional transaction fees. Affiliate networks also offer some additional benefits over affiliate software. 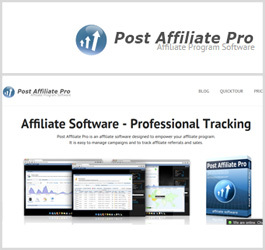 Post Affiliate Pro software will help you track sales, calculate commissions, provide affiliates with links and other promotional materials. Managing an affiliate program on your own can take a lot of time so the purpose of this software is to provide you with a fully automated solution with a minimum of interaction from your end needed. This saves merchants a lot of time. Benefit of getting affiliate software is that you are in full control of finances, commissions, bonuses etc. This software will provide you with a features package that covers everything you need (and even some features which you will never use) and most importantly – accurate tracking of sales. 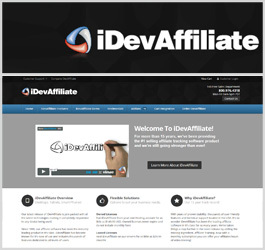 iDevAffliate is an industry standard software for setting up and managing affiliate programs. 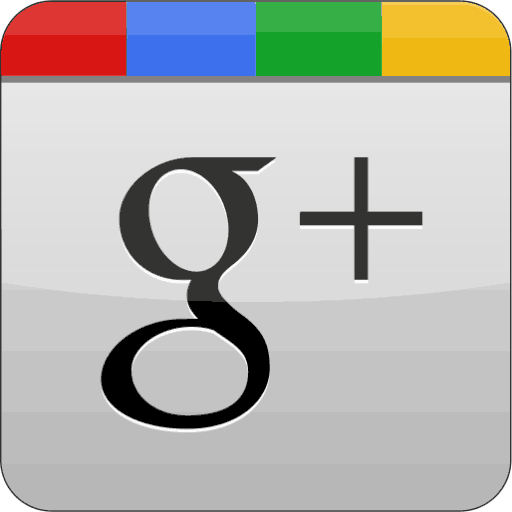 It is used by thousands of websites worldwide and the company behind it has been around for more than 15 years now. This affiliate software provides a robust array of features and accurate sales tracking. 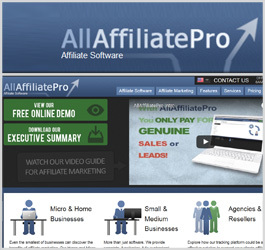 If you are looking to start an affiliate program, you should try this software out. Beginners are welcomed as iDevAffiliate software comes with a lot of support materials in the form of instructional guides and highly useful tutorial videos. For additional questions, there is a swift help desk ticketing system. Additional Payments: $100 Minimum Deposit + %20 Network fees (For every $1 that goes as a commission to your affiliates, you need to pay another $0.20 to the network). 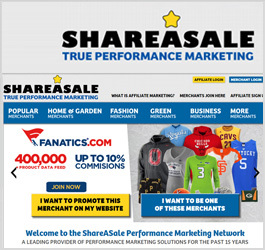 ShareASale is one of the most popular affiliate networks out there. This privately owned company has set a benchmark for others to follow in the industry and has been present online since the year 2000. The network is suitable for both affiliates and retailers looking to boost sales. This network is a popular choice in case you are a merchant looking for a completely automated and robust solution which takes care of everything, including payments for you. On the other hand, affiliates love this network due to a large base of available merchants and products to market. There are more than 3,900 affiliate programs in 40 categories featured at the moment with highly respectable companies participating. Additional Payments: There are no fixed prices for different plans and all advertisers are referred to contact sales staff for a more precise quote. In Addition to $500/yearly renewal fee just for accessing the network you will have to deposit $3000 + Pay 30% of the payout per transaction or $0.30 (Whichever amount is greater – Example: For every $1 that goes as a commission to your affiliates, you need to pay $0.30 to the network). 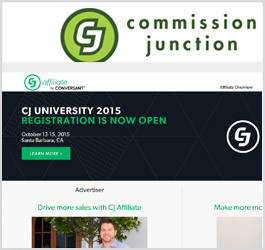 CJ affiliate network presents a solution for big retailers to startup, manage and organize complex affiliate programs in order to boost sales, brand awareness and reach. This network is focused on providing top notch service to advertisers who are willing to invest funds into their advertising efforts. Besides from what is expected from affiliate network environment, this company also provides a number of additional marketing related services to help clients reach higher goals. Merchants can choose a various levels of service, from hands on approach to fully outsourced affiliate program solutions handled by CJ Affiliate. This network is recommended to medium to big sized retailers. LinkTrust is a software platform that provides merchants with comfortable online solutions for starting and managing an affiliate program. Merchants can use this software to setup their affiliate marketing campaigns, attract affiliates signups and to manage commission payouts. There are several payment plans that merchants can choose depending on the business type and marketing needs. All packages include a full features set, which is really impressive and allows for a deep level of customization and integration with existing software and 3rd party platforms. 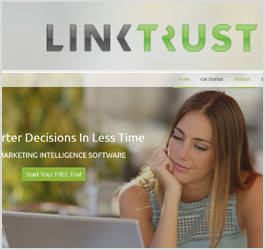 If you are looking for an advanced affiliate marketing software solution, than LinkTrust is a good platform to look into. 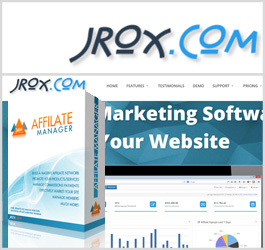 JROX Affiliate manager is affiliate software great for merchants looking to expand their customers’ base. Attracting new customers via affiliate marketing is a good way to make additional revenue. This software helps merchants organize such a program in an efficient manner. Various tools and features are included in this software and are presented through a nice looking and manageable interface. As a merchant, you will be in charge of all the sale commissions and payments – there are no hidden costs besides initial purchase of the software. This makes the JROX Affiliate Manager affordable, especially in the long run. W4 presents an elegant solution for starting a high quality affiliate program. This company hosts a dozen of high end customers and features a huge affiliates base. If you are looking for a solution which will kick start your affiliate program, joining an affiliate network like W4 can work very well. Merchants as well as affiliates are required to go through a complex sign up process which ensures top quality network participants. 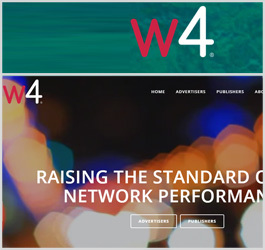 W4 team will assess your products and campaigns and offer advice on how to maximize profit and potential of your affiliate program. 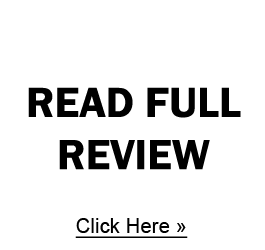 This review also serves purpose pairing merchants with appropriate affiliates who can bring the most value through their channels and audience. 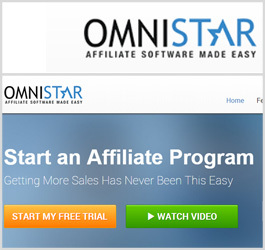 Omnistart (or OSI) affiliate software is made for beginners and non technical users looking to start an affiliate program on their website. This is the reason why this software is available only as a hosted version which does not require any installation or complicated server work. This software is rather straightforward to use and functions in an intuitive way which is great for beginners, but it might lack some of the features more advanced users might seek. There are several payment plans available to accommodate different sizes of affiliate programs with easy upgrade options. Rakuten affiliate network (formerly known as LinkShare) is one of the most popular networks out there. This is a large, premium network with thousands of publishers on it. By joining an affiliate network, you automatically expose your affiliate program to thousands of potential affiliates. This is a great way to give your affiliate program a kick start in a good direction. 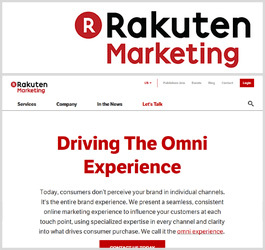 Rakuten provides reliable tracking technology and expert help in optimizing your marketing campaigns. This company also offers a number of additional marketing channels and opportunities for merchants, besides affiliate marketing. 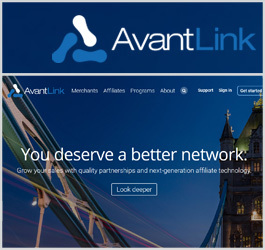 AvantLink is an affiliate network divided into three country specific sub networks – USA, Canada and Australia. Joining a network means that your affiliate program will get instant exposure to a number of potential affiliates looking for good offers, new opportunities and quality products to market. Affiliate marketing can bring both profits in terms of increased volume of sales as well as additional traffic and web exposure. This brings additional value to merchants and expands the brand awareness. AvantLink also provides a solution for those business owners who do not have a dedicated affiliate manager. Additional Payments: %5 Network fees (For every $1 that goes as a commission to your affiliates, you need to pay another $0.05 to the network). What makes this company distinctive from other similar networks is a hands-on approach. The company tries to establish a great relationship with publishers and advertisers, and by providing a great support and fast response time, they are perceived as a company dedicated to its customers. Also, the lack of monthly minimum fees and network activation fees make this one of the more casual companies to work with as the risk is much lower than in comparison with some other networks which have those charges. 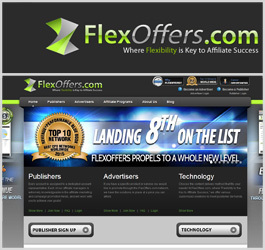 FlexOffers is an affiliate network that offers good opportunities to merchants looking to quickly start an affiliate program. 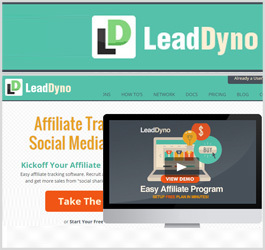 LeadDyno offers an easy to use and simplified affiliate tracking software. This software is hosted in the cloud so there is no complicated installation or server specific requirement. The features set is pretty much standard among other affiliate tracking software with the exception that some of the more advanced features, which high end and technical users seeking for ultimate flexibility might require, are missing. Overall, this is a neat piece of software which makes starting an affiliate program easy for merchants new to this marketing concept. 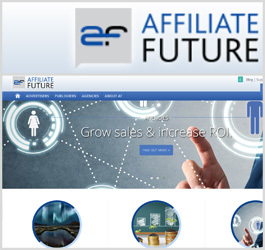 Affiliate future is an affiliate network suitable for medium to large businesses looking to start an affiliate program. Joining a network like this can result in a quick return in terms of traffic increase and number of affiliates joining the program because there are more than 300,000 affiliates on this network looking for new companies and products to work with. This kind of network can significantly boost brand awareness, traffic and sales for merchants who take time to carefully manage their marketing efforts in order to take full advantage of service Affiliate Future provides. 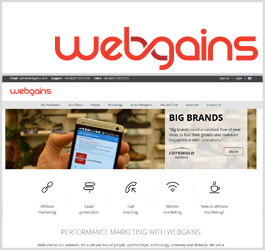 Webgains is a performance-based marketing company located in New York, NY. This company hosts a premium affiliate marketing network that brings together online business owners and marketers in a joint effort of driving sales. Affiliates will help you drive more traffic to your website, increase brand exposure and most importantly – sell more products online. When you join Webgains affiliate network, your affiliate program gets instant exposure to high-end publishers looking for new marketing opportunities. If you have never used affiliate marketing before, this can be a great opportunity to try out this efficient new way of marketing products online. 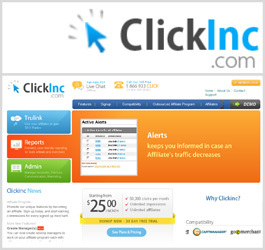 ClickInc.com provides merchants and business owners with cloud-based affiliate software. This platform supports TruLink technology for tracking which is very useful in boosting site ranking. Also, this technology makes it easier for affiliates when it comes to promoting products and services. If you get stuck at any point when using this software, there is live chat or phone support available during business hours ready to help. ClickInc is a good platform for hosting an affiliate program. There is a medium learning curve involved when getting started. We would recommend this service to small and medium businesses. 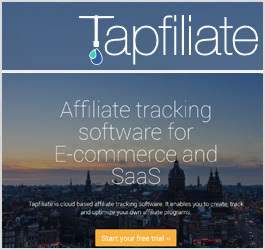 Tapfiliate is a new company from Netherland offering flexible cloud-based affiliate software. Merchants can use this software to increase web the presence and sales by offering commissions to potential affiliates interested in marketing their products. Utilizing affiliate marketing brings many benefits to merchants and eliminates risks present in other online marketing types such as pay-per-click ads. Tapfiliate offers standard features and makes it easy for a merchant to manage his affiliate program and send out payments to eligible affiliates. Online business owners can use the Affiliate Network Pro software to start up and manage their own affiliate program, and expand the reach of their online business. Affiliate marketing helps merchant grow traffic, and ultimately profit from online sales. This software can also be used to setup a fully functional affiliate network, what is a new business venture itself. Standard set of features and predictable costs based on one-time license purchase should make this software attractive to a majority of retailers looking to venture into this affiliate marketing waters. 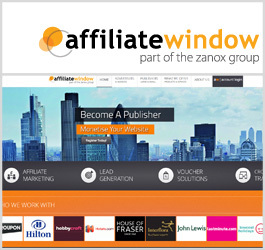 Affiliate Window is a company providing performance-based marketing solutions. This is a global company with 13 offices all around the world, and they are famous for being the largest affiliate network on the UK market. If you are a merchant looking to grow your online business, joining this affiliate network can help you reach that goal. There are many benefits of joining an award-winning affiliate network such as this one. One of them is that you can rather quickly start and grow your affiliate program as you will get exposure to more than 75000 high-quality publishers all around the world. Tradedoubler is an international affiliate network that has more than 2,000 merchants and 180,000 affiliates registered. Joining the network as an advertiser guarantees exposure to a huge base of potential affiliates. This network can help business owners to startup their own affiliate program quickly and with proper support. Joining an affiliate network such as one provided by Tradedoubler will help you get new customers, boost sales and spread the word about your products online. 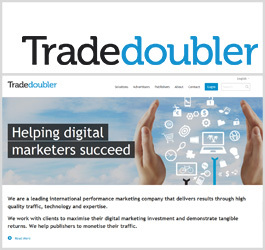 Tradedoubler network supports all the popular payment and advertising models including mobile ads. Clickbooth is focused on performance marketing, empowering business owners with technology to start an affiliate program. High quality pool of affiliates already registered on the network through a rigorous sign up process, guarantee that only top quality traffic will be sent to your website. You can use Clickbooth to effortlessly start an affiliate program and grow your online presence, and increase profit through sales and leads driven by affiliates on the network. Merchants only pay for the actual results, such as successful sales or leads, such as newsletter signups, etc. 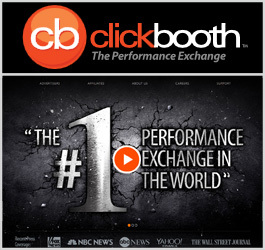 There are no network entry fees with Clickbooth affiliate network. Avangate is an affiliate marketing network that connects merchants with potential affiliates looking for new products to promote. If you are a merchant looking to start and quickly grow an affiliate program, then joining this network is a good choice as it features a huge affiliate base to which your program will be exposed to. Several payment plans that are available target different sized businesses without too many limitations between them. This network only accepts high quality merchants and affiliates, and there is a screening process for both, before they can join the network. Monthly minimum fee is set at $100-$2000 which consist of 20% transaction fees towards affiliate commission payments (For every $1 that goes as a commission to your affiliates, you need to pay another $0.20 to the network). 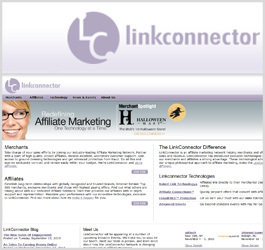 LinkConnector offers access to a premium affiliate network with unique philosophy and approach to marketing focusing on quality over quantity. Joining this affiliate network can bring significant profit to those merchants looking to expand their business. All networks charge network access fee to merchants, but with smart marketing and campaigns – the return of the investment is almost guaranteed considering the established base of affiliates on the network who are always looking for new marketing opportunities to grow. This is a great opportunity for medium/large businesses to expand their reach.